Real estate crowdfunding sites pool investor funds and use them to make real estate loans. They let accredited and non accredited investors invest relatively small amounts of money into real estate for a proportional equity stake in a property or portfolio, making them shareholders. Investors typically earn interest income or rental profits as their return. You’re considered a non accredited investor if you don’t meet the financial qualifications of an accredited investor that are listed above. This is important because some real estate crowdfunding sites allow non accredited investors to invest while others allow only accredited investors to invest. Below is a list of the best real estate crowdfunding sites for either non accredited investors, accredited investors, or both. Below is a list of the best real estate crowdfunding sites for either non accredited investors, accredited investors, or both. We list the sites available for all investors first and then the sites for accredited investors second. We determined these sites based on their portfolios, the types of projects they invest in, their social mission (if any), and their investment vetting process. Fundrise was founded in 2012 and your investment is spread out across their portfolio, which currently has 18 assets worth $1.4 billion. Their investments include multifamily developments, office buildings, new construction homes, acquisition loans and construction loans. You can’t select a specific project to invest in. Your fees vary based on your investment but are generally 0.15% to 1% per year. With Fundrise, you’ll typically receive quarterly dividends and the potential for other payouts if an asset is sold; their average dividend yield for a new investor is 8.0%. They vet each deal by combining years of industry experience and use an affiliated real estate firm to analyze each property. 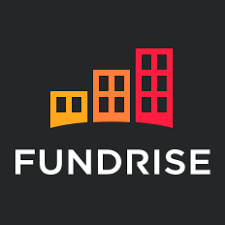 Fundrise is ideal for both accredited and non accredited investors who don’t want to choose their specific property or project but like investing in a portfolio with substantial assets. RealtyMogul was founded in 2012 and you can choose to invest in a specific property or diversify across multiple properties. Their portfolio is worth over $1 billion and they have financed over 350 properties. Their investments include real estate loans, shopping centers, self storage facilities and apartment buildings. Your fees are provided once you choose the type of investment, but account fees range from 0.30% – 0.50% annually. Dividends vary but are usually paid quarterly. They vet each deal by relying on data, technology and an experienced investment committee, as well as conducting site visits. RealtyMogul is right for investors who want to select what project their investment will help fund. 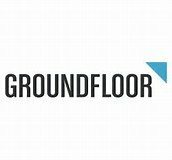 GroundFloor was founded in 2013 and they have funded over $10 million in deals. Instead of investing in real estate projects you invest in a Limited Recourse Obligation (LRO), but you can choose the property and loan details that you want to invest in. All of their deals are residential real estate projects. Fees vary per deal and aren’t accessible until you sign up to browse the deals, but they generally charge 1-2% in annual fees. Average annual returns are 10% and dividends are paid monthly after the loan is funded. They have over 100 years of combined mortgage experience, use local professionals to vet each deal, and their underwriting standards are stringent. GroundFloor is right for investors who are interested in investing in LROs. Rich Uncles was founded in 2006 (rebranded in 2016) and offers income producing retail and office commercial and industrial real estate projects. It’s a “blind pool offering,” which means you can’t choose which projects to invest in. The amount of projects they’ve funded historically isn’t listed but there are 36 total projects that they’ve funded overall. Fees vary, but there’s a 0.1% monthly fee, a 3% acquisition fee, as well as other various lender fees. Typical returns on investments are 7% or more and dividends are paid monthly. They vet their properties by only purchasing properties with long term triple net leases with well qualified tenants in place and they only buy properties where construction is complete. Rich Uncles is right for investors that appreciate a strict vetting process and who want to invest in commercial real estate that’s already occupied. Holdfolio was founded in 2014 and their offerings include single family homes and apartment buildings. You can’t choose which properties you invest in, and instead, your investment is diversified across a portfolio of properties. However, you can receive details for the properties you invest in. Their portfolio at the end of 2017 represents $6.6 million invested in assets worth more than $13 million. Fees vary per deal, but they already own the properties so there are typically no acquisition fees. Dividends are paid quarterly and annual return on investment is 10% or more, on average. They have a long history of property management and sales experience so they vet each property based on its potential price appreciation and the neighborhood. Holdfolio is for investors who have more money to invest and enjoy working directly with the real estate sponsor since all projects are owned by Holdfolio. MinnowCFunding was founded in 2017 and their offerings include residential, commercial and industrial real estate. Since they’re so new, information is limited on the value of their assets and their performance. Fees vary per deal but they do collect a 7% fundraising fee. Dividends are paid annually at about a 5% rate of return on investment, plus a higher return when and if a property is ever sold. Their team of real estate veterans and advisors has over 50 years of collective experience underwriting and managing real estate so they do have strict vetting procedures for each investment. MinnowCFunding is right for investors who want to spread out their investment among commercial, industrial and residential properties. 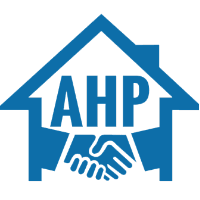 American Homeowner Preservation was established in 2008 as a nonprofit, and a for-profit entity was formed in 2009. Their social mission is helping distressed homeowners stay in their homes. Your investment is diversified through a pool of distressed mortgages which is turned into either a loan modification, deed in lieu of, or a foreclosure enacted by AHP. Investor fees are 2% annually. The properties are single family homes and the return on investment is capped at 12% annually; dividends are paid out monthly. They don’t vet their properties like typical real estate crowdfunding sites do but instead purchase pools of challenged mortgages to provide help to struggling homeowners. American Homeowner Preservation is right for socially conscious investors. Small Change was started in 2014 and you can choose the project you want to invest in. However, some are open to everyone while others are only open to accredited investors. The offerings include residential, commercial and mixed-use properties. Each project is socially conscious in varying ways, from green building materials to being located in a walkable area to providing affordable housing. Small Change doesn’t charge investors any fees but there is a profit share with the sponsors. Profits vary by project but average annual returns are 8% or more. The vetting process is based on what will make a profitable investment and what will also positively impact the investment’s surrounding neighborhood. Like American Homeowner Preservation, Small Change is right for socially conscious investors. LendingHome is a hard money lender founded in 2013 with a minimum investment of $1,000. However, to use the auto invest program, the minimum is $5,000 and if you want to choose your investment the minimum investment is $50,000. LendingHome’s program is unique because instead of investing in real estate, you’re investing in fractional notes which are portions of a mortgage. Fees aren’t specified but vary by project. You receive monthly dividends and your investment is paid back in full within 12 months. No asset size or return on investment information is listed on their site. The business’ main focus is providing loans so they do thoroughly vet each property and borrower. LendingHome is right for investors who want to diversify their investments in fractional notes. 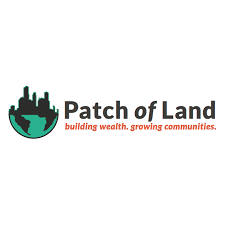 Patch of Land is a hard money lender that launched in 2013 and offer short term and long term investments you can choose from. Most of their offerings are residential properties but occasionally commercial properties are available. They have funded over $370,000,000 in loans. Their fees are usually 1% of the interest you make and their average returns are about 9-11% annually. Every month you receive automatic distribution payments and at the end of the loan when the principal balance is due you receive the remaining balance owed. They thoroughly curate and vet each deal and show investors appraisals on each property they invest in. Patch of Land is right for investors who want to choose an investment based on their own strategy, whether it be short term or long term. 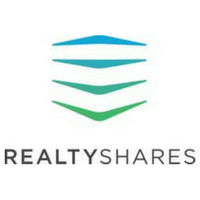 RealtyShares started in 2013 and their offerings are made up of smaller commercial properties and residential properties, including single family homes. You can choose to invest in a specific property or a group of properties and you can specify your location preference. They have received investments of over $500 million across 1,000 deals historically. You can choose to invest in equity or debt and their fees are 1% on equity and up to a 2% interest rate spread on debt. Their targeted returns are between 9% and 11% annually and they pay monthly or quarterly depending on the investment. They have a strict vetting process for each deal and do research on each borrower, sponsor, and each property, including full title reports. RealtyShares is right for accredited investors who want to select a specific project to invest in. Prodigy Network was founded in 2003 and their portfolio is currently worth $800 million. U.S investors can choose what project to invest in but it has to be one of their NYC projects. Prodigy Network invests in multifamily, office, retail and hospitality projects. Fees vary but expect to pay 3% of your total investment for development deals plus an asset management fee of 2% and a 1% financing fee. Fees are slightly less for other projects. Average returns on investment for prior projects have been 7 – 12% historically. They vet projects by using data and research and go by the philosophy that there’s more investment security in commercial assets in top major cities, hence why NYC. 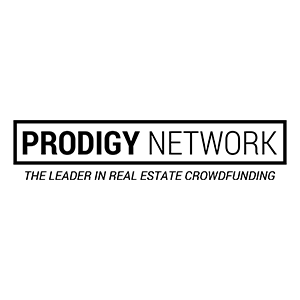 Prodigy Network is right for investors who want to invest in the NYC area and who have a substantial amount to invest. 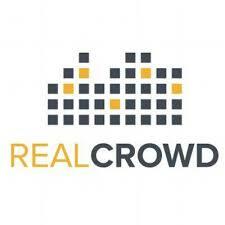 RealCrowd was founded in 2013 and they’re a middleman that connects investors and real estate investment companies. They offer access to commercial real estate equity investments from the top real estate firms. These offerings include office, multifamily, and retail properties, and you can pick the investment that suits your budget and parameters. They don’t have an asset size listed but they have 13 available investments and raised over $1.6 million in venture capital. They don’t charge investors any fees, but the investment companies they connect you with often charge fees depending on the deal. Dividend amounts and payouts vary based on the deal and the company. They vet the companies selling the properties and only accept the highest income producing commercial buildings. RealCrowd is right for investors with a substantial amount of funds to invest and who want a range of real estate companies to invest in. EquityMultiple was started in 2015 and they offer commercial real estate debt and equity so you can choose a deal that fits your investment objectives. They co-invest in every deal and their fees are 0.5% annually. Typical annual returns on investment range from 10% – 17% and the payment of distributions vary depending on the deal, but are usually monthly or quarterly. They have experienced real estate companies that perform due diligence for every deal prior to offering them to investors. Less than 5% of deals pass this vetting process. Equity Multiple is therefore right for investors who appreciate a stringent investment vetting process. InstaLend was started in 2016 and you can choose the project you want to invest in; you get to see the details of the deal. Investments are put into loans for 1 – 4 family income producing residential real estate projects and some of their funded projects are shown online. They don’t charge investor fees but there is a spread due on some of their investments, which is deducted from the interest you collect. Average annual returns are 10% – 14% and dividends are paid monthly until the borrower repays the loan. They thoroughly review each deal through their strict vetting process before any investors are involved. InstaLend is right for investors that want to choose a residential real estate project to invest in. CrowdStreet CrowdStreet was founded in 2014 and focuses exclusively on investment offerings for institutional-quality commercial real estate such as apartment complexes and office towers. CrowdStreet’s Marketplace provides accredited and non-accredited investors direct access to over $5 billion in CRE property value and has raised over $250 million from their member-base of over 35,000 investors. They don’t directly charge investors any fees but the funds do come with varying underlying fees.Annual distributions on investments are usually 10% and their six fully-realized deals (as of January 2018) have delivered an average 22.6% return on investment. Their vetting process is stringent – they pre-screen every investment and only 2% pass. CrowdStreet is right for investors who commercial investors who appreciate a strict vetting process and who feel more comfortable with a large pool of investors. 1031 Crowdfunding was started in 2014 and they are tailored for commercial real estate investors who want to sell their properties without being taxed. Their offerings include commercial real estate equity investments that qualify for 1031 exchanges. They have completed over $2 billion in total real estate transactions. 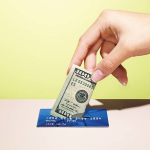 Their fees are typically between 5 – 7% up front. They currently have 23 investments available including retail, industrial and apartment buildings. Their experts vet the properties based on their ability to perform a 1031 exchange for commercial real estate. 1031 Crowdfunding is right for current commercial real estate investors who want to sell one of their properties and defer capital gains. AlphaFlow was started in 2015 and they offer a fixed portfolio of real estate loans that are auto-balanced to stay diversified throughout 70 – 100 notes. These notes come from residential real estate debt or hard money loans. You don’t get to choose any of your investments and there isn’t any information on their current assets. 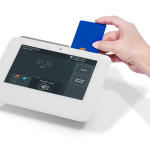 Fees vary, but they do charge platform fees and a 1% diversification fee. You receive monthly dividends that range from an 8 – 10% annual return on your investment. Since they invest in loans, they vet the properties and the borrowers with a careful process. AlphaFlow is right for investors that want to invest in carefully vetted loans. PeerStreet was started in 2013 and they offer residential debt investments, multifamily and commercial property investments. You can choose your own investments by filling out custom parameters or you can opt for the auto portfolio. As of October 2017, they’ve done over $500 million in total loans funded. Their fees are 1% annually. Their average return on investment is 6 – 12% annually and dividends are usually paid out monthly. They have a strict loan vetting process and their experienced staff only choose high quality loans. They also offer complete transparency to investors who want to see their prior performance history and claim to have zero losses to investors to date. 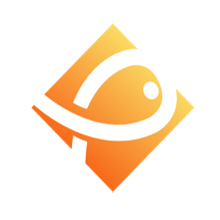 PeerStreet is right for investors who want to customize their investment parameters. Real estate crowdfunding can be an alternative way to invest in real estate for both accredited and non accredited investors. Many of the best real estate crowdfunding sites offer minimum investment amounts that are lower than you would see if you were investing in a piece of property outright. Keep in mind, with every potential for reward, there can be a risk and you also won’t own the piece of real estate in its entirety. Do have any presence of Crowd Funding for projects based in Malaysia? Thanks, Stephen for checking out our article and commenting. We also have another article on real estate crowdfunding you may find interesting. When we update the article, we will look into the company you recommended. Unfortunately, at the moment, I believe all of the crowdfunding companies only operate projects in the U.S.A. It may be worth it to reach out to one of the larger companies and inquire about projects in Malaysia. An alternative would be to contact an international bank or developer with interest in projects in Malaysia. Do have any presence in India ?? if not would be interested in Crowd Funding for projects based in Mumbai,India. Thanks for visiting our site. At this time, I believe all of the crowdfunding sites are mostly U.S based, however a few of them do have projects that they fund in other areas, so I would suggest contacting them individually to discuss any projects in India. Unfortunately, I don’t have any information on crowdfunding platforms offered in India. Can You Get Real Estate Investment Financing?